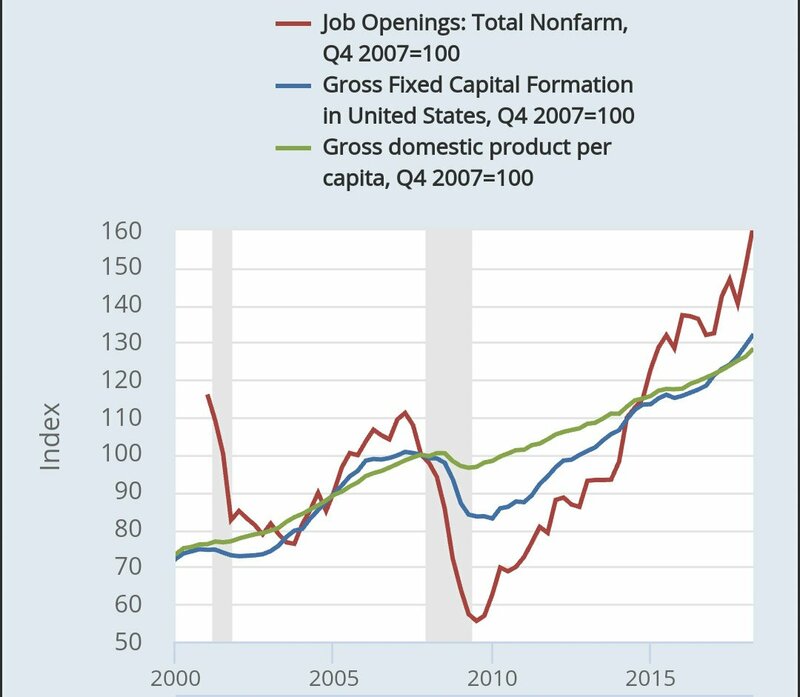 What do we know about jobs and wages and growth? We know this is a labour-intensive recovery when labour demand increases faster than investment. We also know the elasticity is perilously close to unit in the US and likely above unit in the EU. 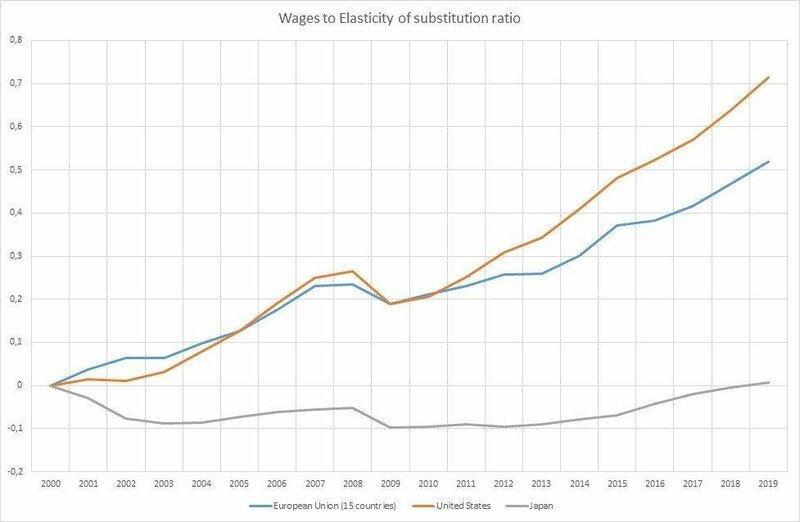 We know the elasticity of capital-labour elasticity is not reacting to the pace of wage growth in both EU and US. 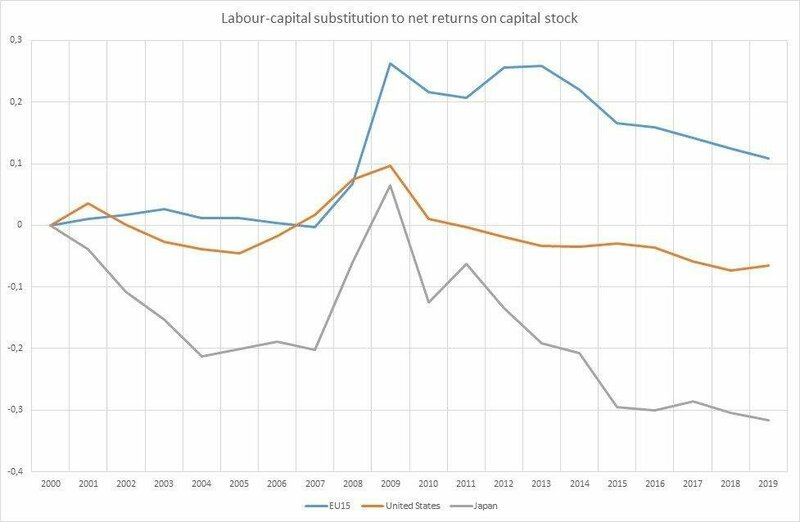 And we also know that firms might still prefer hiring instead of investing in capital because returns to capital in the EU are low since at least 2000 and even more so since 2007. This preference for labour instead of capital is dragging productivity down by increasing wages above what output workers add. It’ll hamper investment and constrain price growth. What may be happening is a more elastic labour demand result of higher capital-labour elasticity, a higher weight of wages on firm costs and a higher cost of capital (Marshall’s rules of demand elasticity). What could partially be holding employment to the current high level are lower interest rates (achieved through a significant increase in the monetary base) that make demand less sensitive to price increases. 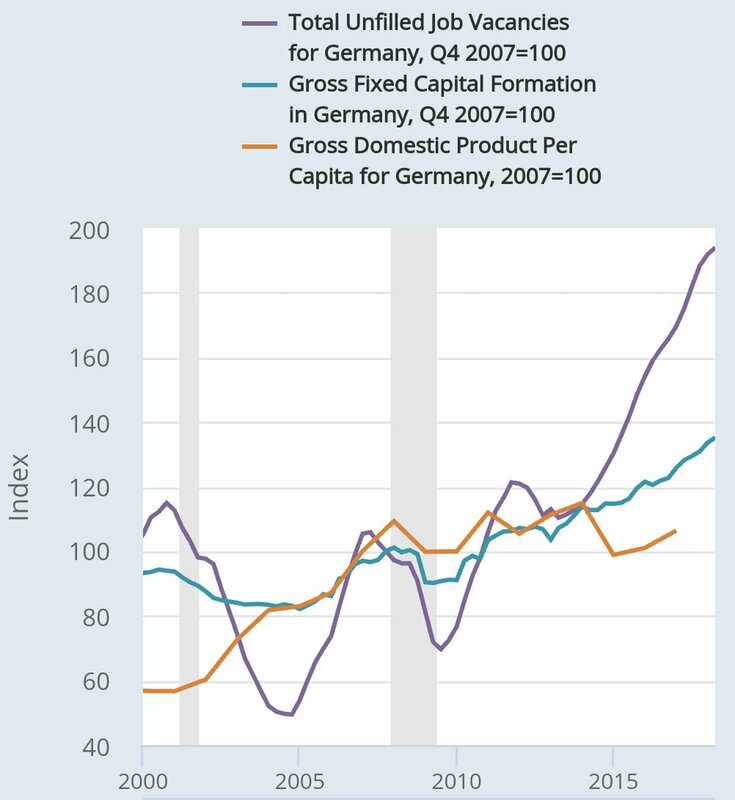 Hence, it’s not only that firms don’t find it profitable to invest in capital with interest rates below growth; it’s that with such low returns to capital, an inelastic demand increases the opportunity cost of investing in new machinery. The ECB would certainly agree as lower interest rates increase capital misallocation, according to Gita Gopinath, the IMF Chief Economist, hampering productivity and hence growth. Previous Article Do we need to call the unions already? We love your site, it has nice information, Thank you.